Make IT performance visible in your own virtual Services Map. When implementing your TOPdesk solution why not take your IT service delivery one step further? Implement a recognizable IT business delivery service plan for your customers and manage that with the IT Service Score and User Experience. 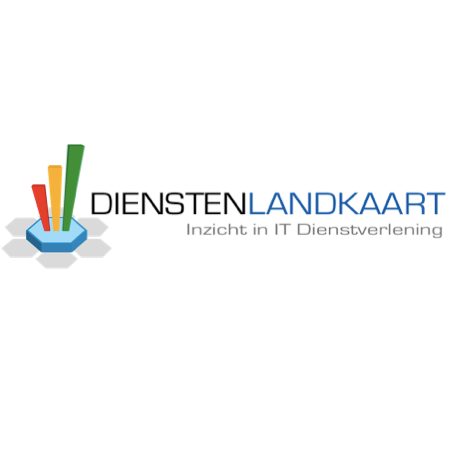 Make the IT performance visible in your own virtual ServicesMap (Dienstenlandkaart) and improve your IT Service Score. The IT Service Score, User Experience and ServicesMap is a programme for (team) leaders and members of IT service departments. Excel with TOPdesk and create an outstanding IT service delivery for your clients. A whole new way of measuring IT performance. Outstanding service delivery begins with a clear Service Plan. For real insight you need correct registration of calls in TOPdesk. You will train your Service Desk agents to register calls correctly. 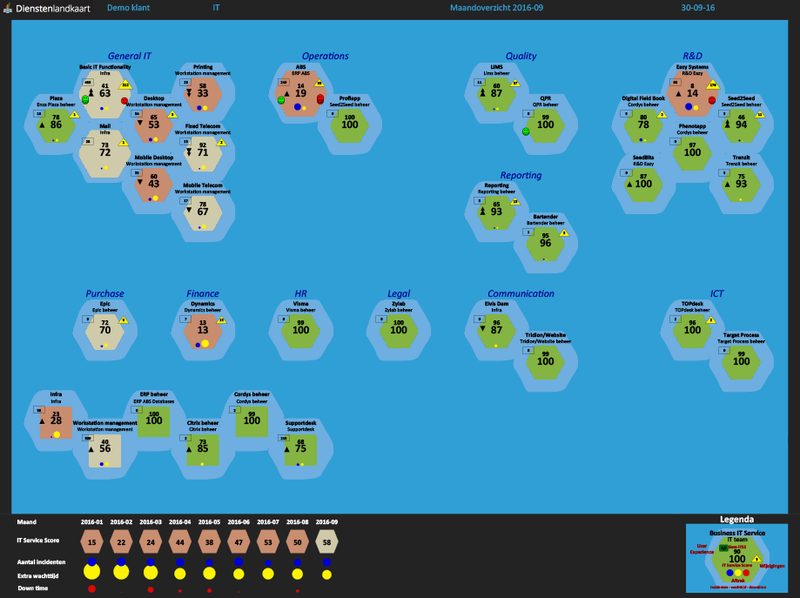 Every business gets its own IT service Score made visible in the ServiceMap. The User Experience is thoroughly managed by constant interaction with your clients. Within a year your IT organization continuous measures its performance and is actively focused with continuous improvement. This programme involves every role in the IT department: CIO, IT Operations Manager, team leaders, process managers and IT staff.